This is My Best began as a kind of book-of-the-week show. Popular modern authors were asked to select their best writings, which were created into radio scripts. Many authors chose works that were not well known, and had not been dramatized before. Authors such as John Steinbeck and Thornton Wilder were guest authors on the show. In 1945, Orson Welles took over the show, directing, acting, narrating, and adapting scripts to his liking. He changed the format of the show, insisting that they only recreate classics such as Heart of Darkness by Joseph Conrad. Welles, notoriously stubborn and difficult to work with, was criticized by the network for changing the concept of the show and making it too highbrow. He was also criticized for using the show to further his own career by doing one show that he was interested in making into a movie, even though the bigwigs insisted he not do so. 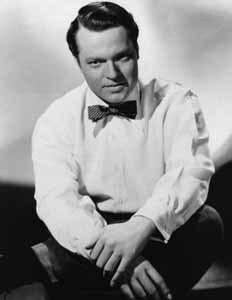 Orson was fired April 24, 1945 after only a little over a month on the show. At this time it became a vehicle for Hollywood movies - potential big movie productions were tried out on this program to gauge audience approval. For additional Orson Welles recordings, see the extensive Orson Welles Collection.